The chart below shows support for abortion in the American National Election Studies (2016) survey. 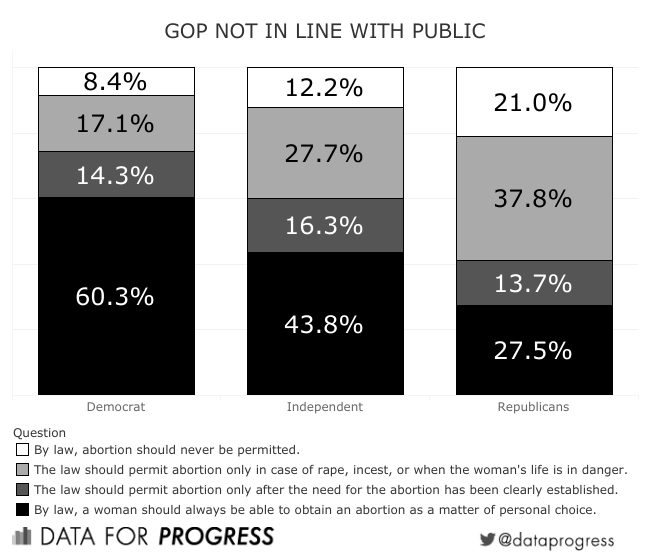 The charts below show support for abortion based on Data for Progress analysis of the Cooperative Congressional Election Studies (2016) survey. Do you support or oppose each of the following proposals? Always allow a woman to obtain an abortion as a matter of choice. Allow employers to decline coverage of abortions in insurance plans. Prohibit the expenditure of funds authorized or appropriated by federal law for any abortion.